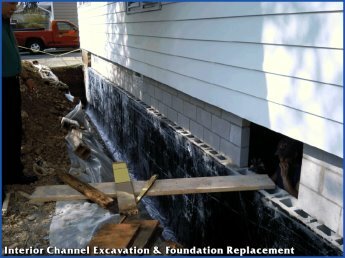 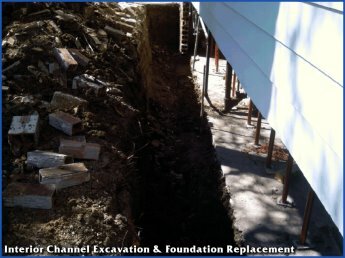 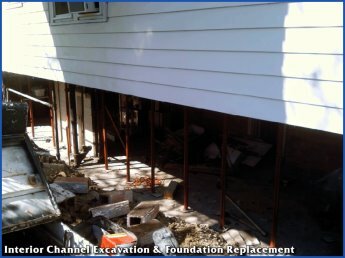 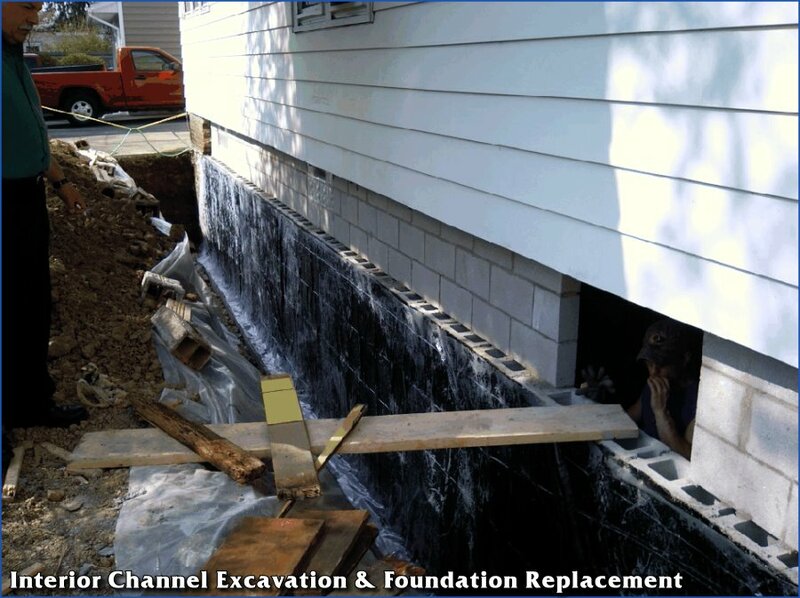 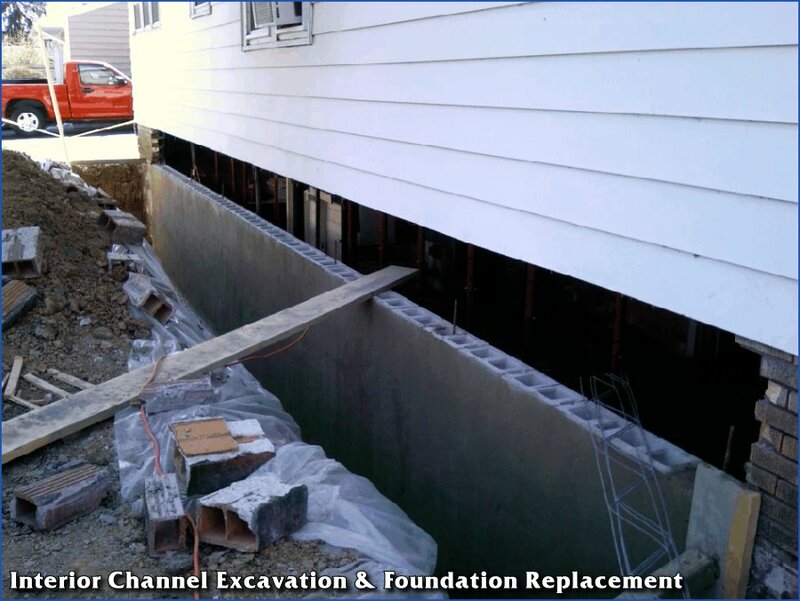 Interior Channel prides itself on its innovation in the marketplace when it comes to foundation repair. 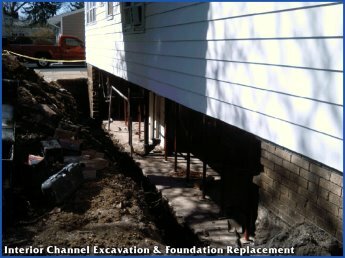 We do everything from simple crack repair to the excavation and pushback of damaged and cracked walls. The installation of 4” I-beams is the accepted method of securing and stabilizing damaged walls from collapse. 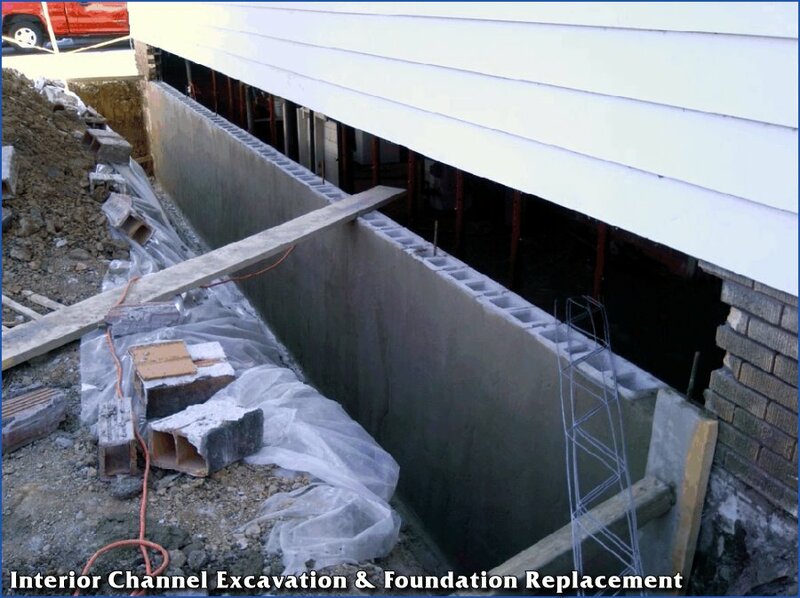 In some cases, a complete wall replacement is called for, and Interior Channel is the company to call. 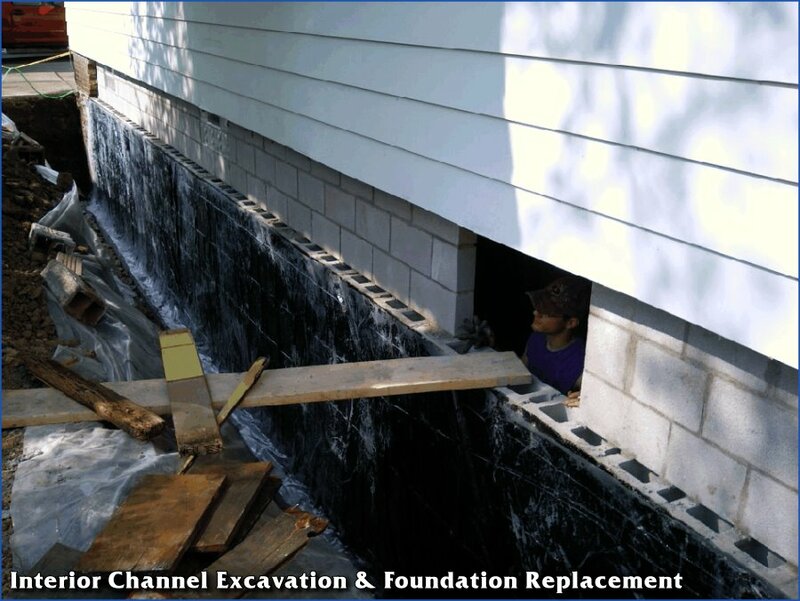 We use qualified block layers with masons to pour footing and replace block walls. Poured walls are also available with block top-offs.